“Why would I do another buddy-cop show?” asks True Detective creator Nic Pizzolatto in a recent Vanity Fair profile. “I think whatever I had to say about the buddy-cop genre, I said.” More’s the pity. In place of Matthew McConaughey and Woody Harrelson bickering on long car rides and gradually figuring out how to work together on a high-stakes serial killer case, season two offers four individuals so isolated and angsty that the one buddy-cop scene late in the second episode is just about the only thing in the first three that gives hope for the season. Pizzolatto asks, “Do you really just want to see two stars riding around in a car talking?” Does he really not understand what drew people to season one? 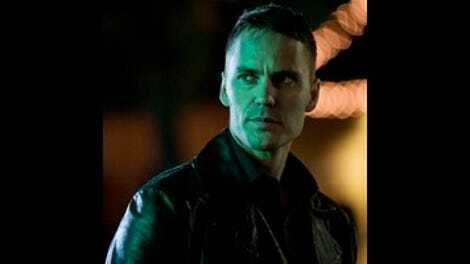 Season two of True Detective is a different animal, a linear L.A. detective story about a dead city manager with mob ties, but the case that binds the four main characters doesn’t generate many sparks. Colin Farrell plays bent city detective Ray Velcoro. He’s in league with Vince Vaughn’s mobster Frank Semyon, who’s trying to go straight with a new development deal until the murder screws up his plans. Rachel McAdams plays county sheriff Ani Bezzerides, her job and no-nonsense demeanor a rebellion against her hippie upbringing. 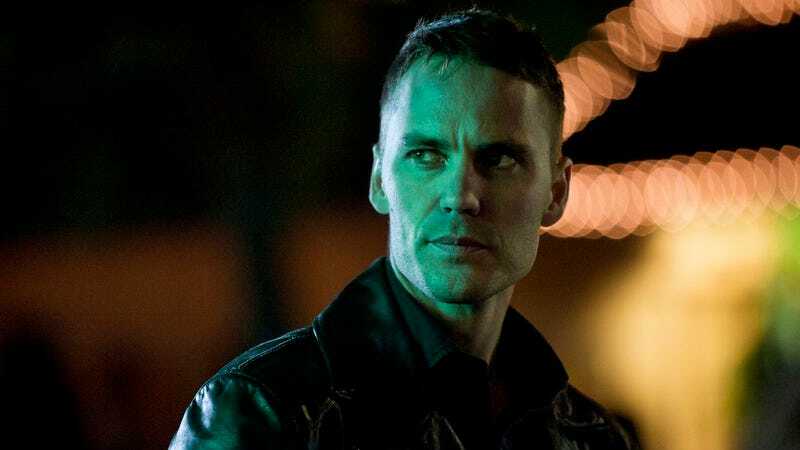 And Taylor Kitsch plays CHP officer Paul Woodrugh, an ex-private security contractor haunted by his actions in Iraq. When Paul finds the city manager’s corpse propped up on a park bench somewhere outside the city, the four legal and extralegal bureaucracies collide, each trying to use the case to accomplish their own ends, and our four heroes are reduced to pawns simply trying to keep a grip on themselves. Everyone’s trying to go straight in True Detective season two. The problem is Pizzolatto is, too. Instead of a present-day case opening up an investigation into a past crime, season two flows chronologically, give or take a flashback early on. It doesn’t just lose the plot hook of the dueling timeframes—it loses the way the camera’s record interacts with the narrated story and the way the dense editing reflects the themes, and it replaces those facets with pretty much what every other show is doing. There’s no serial killer preying on an already abused underclass and ritualistically murdering them, either. Sure, the real villain is power, but season two doesn’t even hold the grotesque bureaucrats of Louisiana. What’s lurking in the shadows of downtown L.A. is just a rack of dull suits. Corruption is a drag. What’s exciting about the miniseries anthology format is getting to see Pizzolatto’s take on all sorts of cop dramas. The crucial change of season two is swapping the spooky backwoods of coastal Louisiana, where Pizzolatto grew up, for the dead gray highways of southern California. This ain’t Jim Rockford’s Los Angeles; it’s more like The Killing’s Seattle. The season visits a Spanish-style mansion and a post-apocalyptic film set, but it lives in government buildings, an airless casino office, and a dim, brown bar. There’s a healthy dose of The Shield and L.A. Confidential to the premise, a socialite’s mansion out of The Big Lebowski, and ominous dissolves à la David Lynch, all of which would be thrilling riffs if not for the flattening gravity of the season. Imaginative moments are genuine oases—a creepy episode ending, a Lynchian dream, a crime scene staged like a Hollywood night shoot—but the desert is vast. But that buddy-cop scene is something else. One short sequence lets Ray and Ani start to define their worldviews, gets them to begin to cooperate, milks some welcome laughs from their banter, and reframes the show as them against the entire power class of California. The case might be dead on arrival, but two personalities going back and forth is what drama is all about.